Fudbalski Klub Vojna (eng. Football Club Vojna) commonly reffered to as Vojna is a hattrick club based in Podgorica, Montenegro. FK Vojna was first found on December 11th 2006, but until now, the club has been shut down twice. 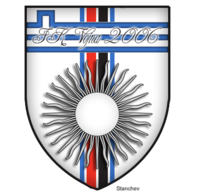 Currently running team FK Vojna is established on 08.08.2011 (Season 37), and has achieved a 3:0 win in a debut match against awetinje in IV.7 Montenegrin division. After winning the title twice in IV.7 league (Season 37 & 38), FK Vojna got promoted to III.14 division. 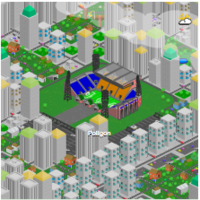 Vojna's home is the 25,500 capacity, Poligon stadium, where they have played since their establishment. The club is owned by Internazionale90 and it is situated in 'Preko Morace' area of Podgorica. Poligon is situated in Bulevar Svetog Petra Cetinjskog 56, Podgorica, and the current capacity is 25,500 seats. The name 'Vojna' (eng. Army) originates from the actual name of the building Poligon stadium belongs to. The building is mainly inhabited by the ex Yugoslavian army officers, and therefore the name is Vojna. There are several buildings in Podgorica which share the same name (Vojna), but this one in particular is the only one in 'Preko Morace' area. 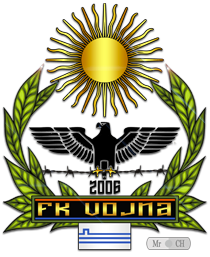 FK Vojna crest has been changed throughout the club history, but since the last time club was found, the team logo kept sun as a main symbol. Sun as a main symbol represents strength, power, energy and force. Historically, the club colours have been changing, but red and blue are the most common ones. 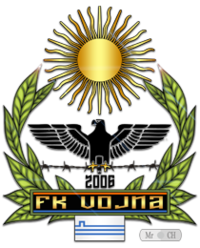 Since season 17, FK Vojna's crest contains a flag of Podgorica. Champion of IV.7 in season 17. Champion of IV.7 in season 18. This page was last edited on 1 May 2012, at 06:52.